Born in Chicago and raised in Kansas, I struggled to get away from it all ever since I could crawl. I realized at an early age I was virtually unemployable. I had authority issues. I had to find something I could do almost anywhere, almost any time, my entire life. Over the years, I tried a lot of things and did a lot of them well. Others, not so much. After “earning” two college degrees and floundering in the related jobs they helped me to hate, I made my way to the West Coast. I also fought my way into a black belt in full contact kickboxing, which may have been more valuable than my Masters in science education, but not as much as my bartender’s license. However, when I almost got my fingers cut off during a Japanese sword class, it occurred to me that if the pen was mightier than the sword, I should start writing before I lost my hands. Shortly after I moved to Ashland, Oregon in 1979 I met a Lakota by the name of Wallace Black Elk who was leading sweat lodges in the area. Wallace was an amazing man, shaman and human being. A WW II decorated combat veteran, he also had to fight to share his ways with people outside of Lakota culture. Understandably, some native people resented that Wallace opened his ceremonies to everybody. Wallace basically said, “My ways are not Indian ways. If they were, all Indians would be doing them, but they’re not. I am an Earth Man. My ways are Earth Man ways.” Thanks to Wallace, I was able to begin to learn about his Earth Man ways by participating in his ceremonies. Around the time I met Wallace, I also met Jack Schwarz. Jack was considered to be one of the most gifted and influential teachers of mind-body controls and intuitive skills in the world. 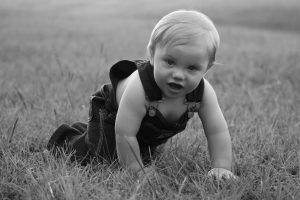 He was the subject of many studies conducted by major research centers around the globe. In the U.S. those included The Menninger Foundation’s Psycophysiology Laboratory and the Stanford Research Institute. 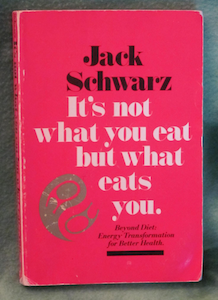 I worked and studied with Jack for several years in Ashland and we collaborated on one of his later books, It’s Not What You Eat, But What Eats You. During that time, I was also a yoga instructor, a bartender/bouncer and co-owner of a kickboxing studio. Although I swear I did not get hit in the head that often, I made several major questionable decisions. So, in 1989, I abandoned Oregon, moved to Montana and Bozeman has been home ever since. In time, I met Lakota spiritual leader Jim Miller and was re-introduced to American Indian ceremony. Jim has survived the full gamut of reservation life: a Vietnam combat veteran, as well as a captive of both an Indian boarding school and the federal prison system. Today, he is a powerful force in reconciling the animosity among people and cultures. He also pours damn hot sweat lodges. In 2014, I began to study under Peruvian shaman don Oscar Miro-Quesada. Through don Oscar I have experienced extraordinary new realities through non-ordinary reality. The scope of his knowledge, wisdom and compassion is beyond multidimensional. The cosmos has never looked better, although I can’t say I can see all of it. Of course, many strong spiritual women also tried to make sure I did not stray too far from “the path.” They include Patty, Alberta (Jim Miller’s wife) and Ardis Iron Cloud, three Lakota sisters – and their cousin Cindy Iron Cloud. Each has uncompromising love for their people and their ways. It is inconceivable for a non-Indian to feel what it takes for traditional American Indians to share their most sacred ceremonies beyond their relatives – yet these women did that for me, as well as welcomed me into their family, hearts and homes. I still do collaborative writing projects for and with others, as I did with Jack Schwarz. These and other experiences inspired me to publish articles on sports, sports performance improvement, spirituality, personal development, the environment, and fiction as well as non-fiction books. My latest book, How to Get Even with the Universe by Getting Right the World: Working within Sacred Space and Time is now available. Click here for more information. Steve entertaining a capacity crowd at Bozeman’s Ellen Theater, and talking about Hollywood and the Hero’s Journey. And I offer talks and classes on creating medicine pieces, holding sacred space, the importance and use of myth, and how and why having fun and taking right action are key to personal growth and planetary evolution. Our path may be the best teacher of all. It provides obstacles, as well as what we need to get over them. 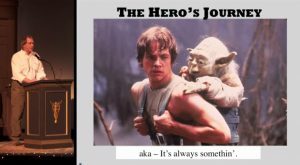 I strive to help people become the hero on their own hero’s journey.